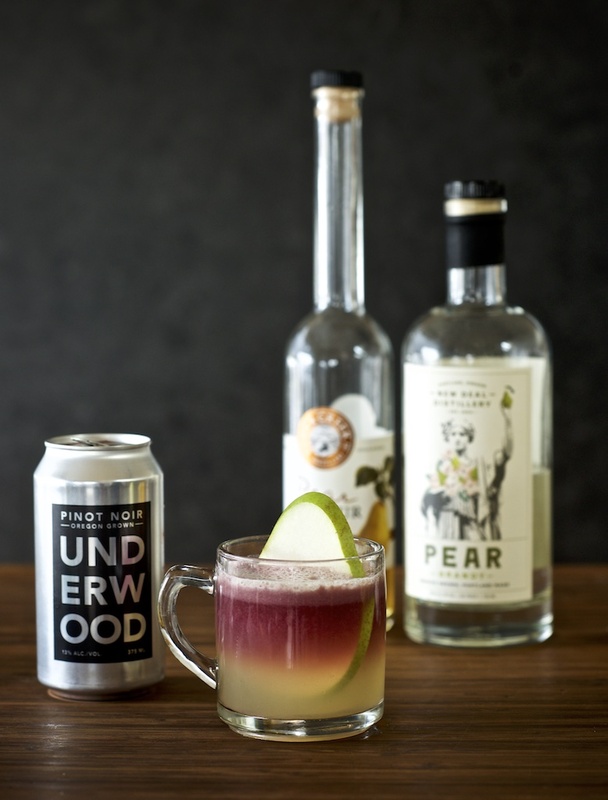 Wine Cocktail: Northwestern Comfort - Union Wine Co.
On a dreary, rainy day in Portland we met up with bartender Jon Davidson to craft a cocktail that is anything but grey. 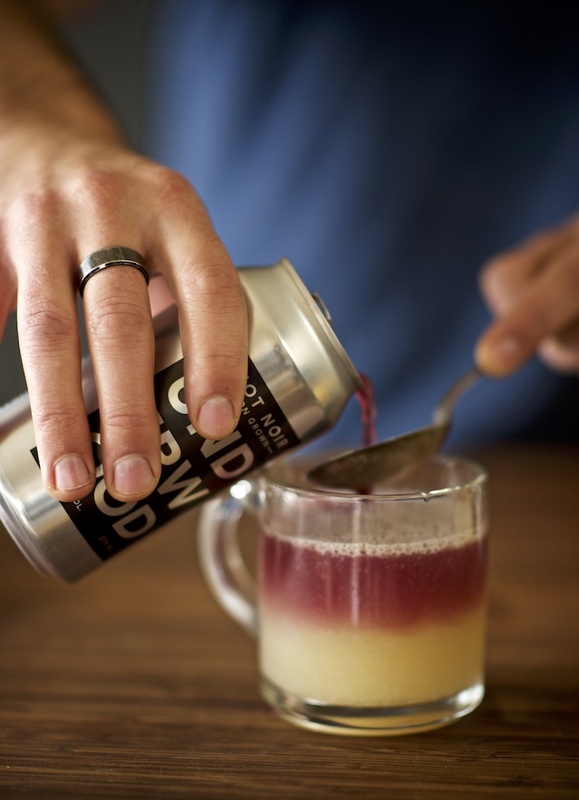 Incorporating some of the best of the Pacific Northwest, and a pop of protein, we like to call this drink, “healthy”. Combine all ingredients except for the Pinot Noir in a shaker. Shake and strain into a glass. Layer Pinot Noir on top. 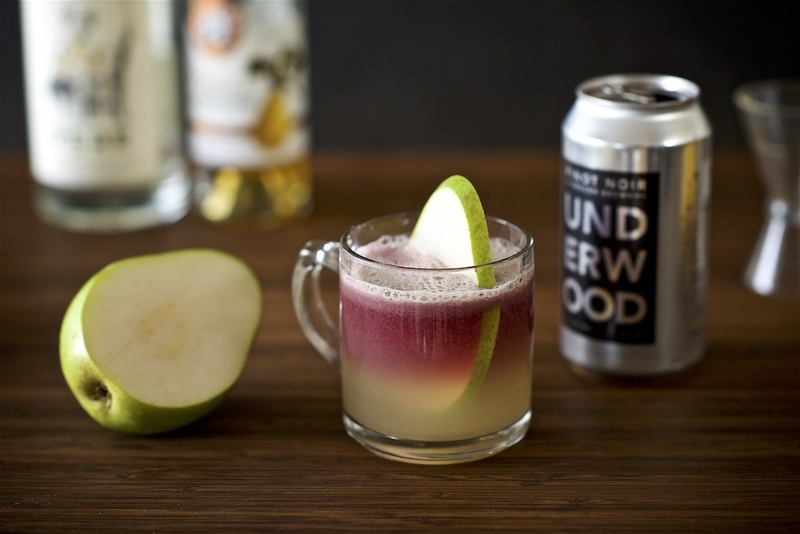 Garnish with a pear slice. 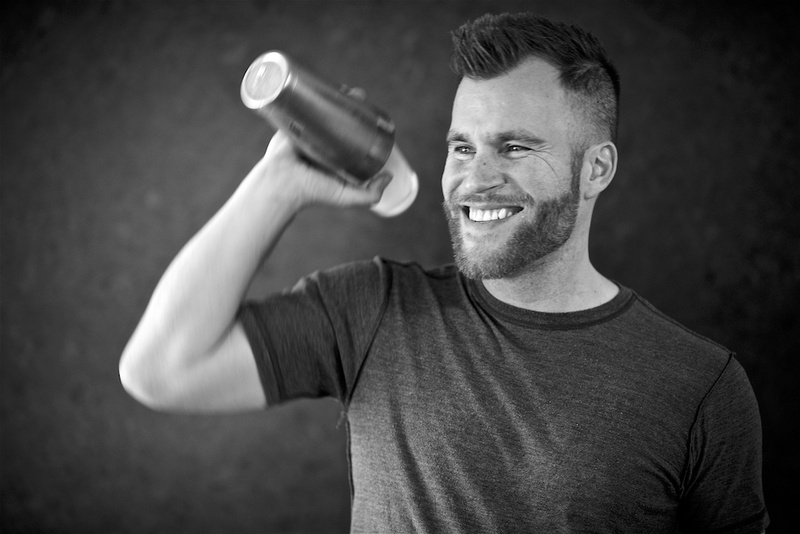 Jon Davidson, Bite of Oregon Iron Mixologist Champion, hosts a biweekly mixology segment on Portland’s KATU, Channel 2, featuring cocktails he has created during the course of his fourteen-year bartending career. 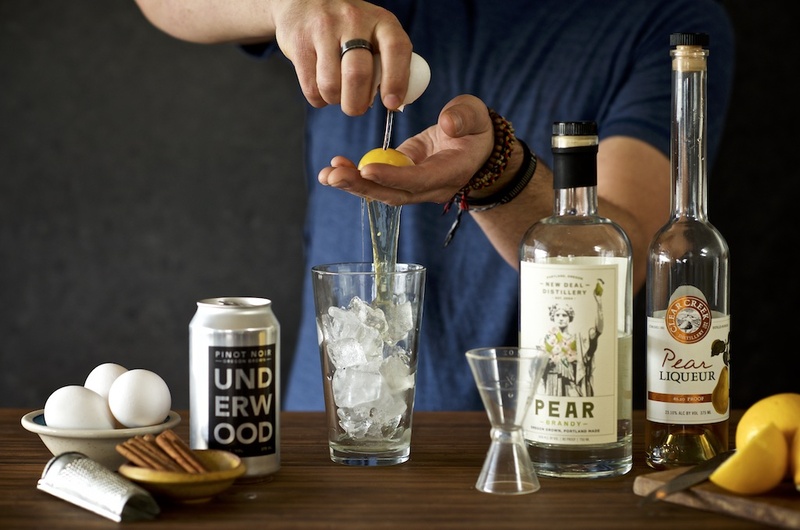 He currently tends bar at Stanford’s in Portland, and on the side he designs cocktail menus for a variety of regional establishments. 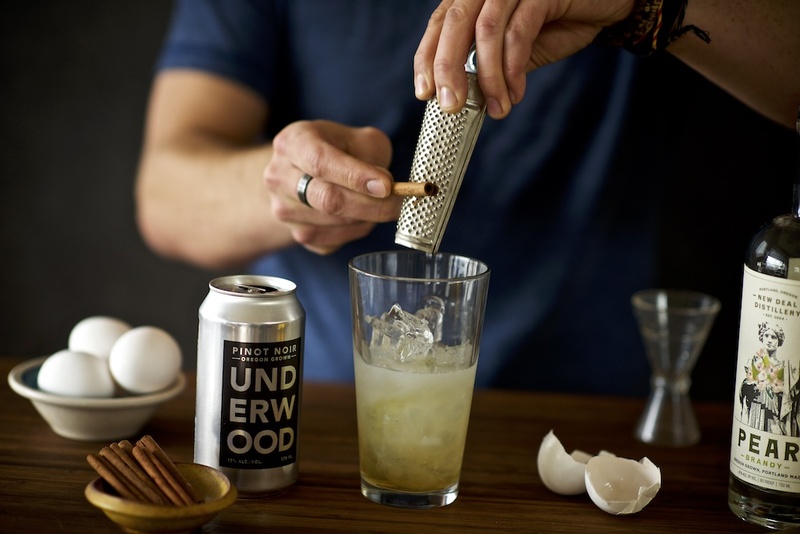 Jon favors bold and multifaceted flavors when designing cocktails, and loves to incorporate unexpected ingredients (cumin, anyone? ).